The largest provider of Alberta occupational health and safety (OH&S) approved first aid and cardiopulmonary resuscitation (CPR) courses in Edmonton is Edmonton First Aid. This provider offers OH&S approved two-day standard first aid, CPR and AED courses. Standard first aid requires approximately 14 hours to complete and participants may partner the course with either CPR level “A”, “C” or “HCP”. Automated external defibrillator (AED) training is also included in the course. Participants that have expiring standard first aid awards may attend re-certification courses which require candidates to only attend one day of the two day program. Learn the latest ILCOR and American Heart Association standards in first aid and CPR by attending a course with Edmonton First Aid. 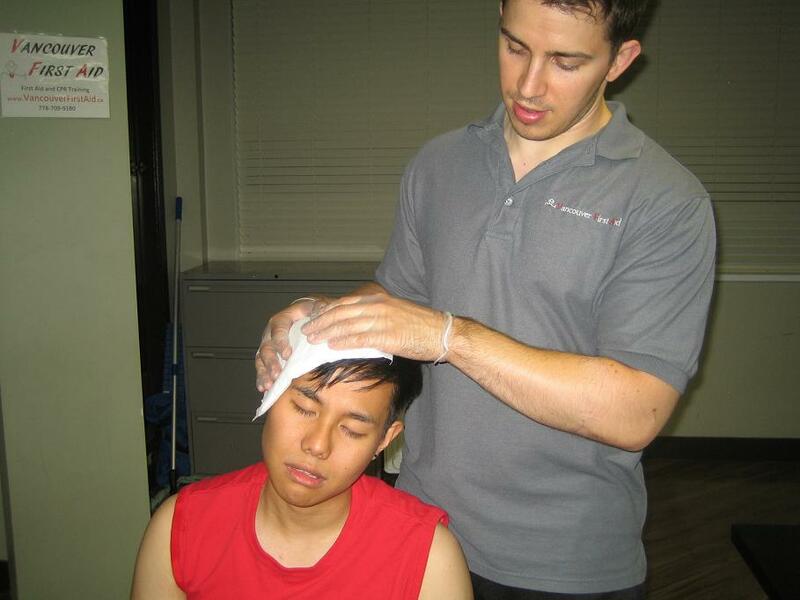 Click here to register for a training course with Edmonton First Aid. A complete list of offered classes can be found on the website as well, along with the class schedules. Enrolment via telephone call, e-mail, and walk-in are also highly encouraged by Edmonton First Aid’s very helpful staff. Trainees who are unable to complete their training course are entitled to a full refund, provided a 72-hour notice is given before dropping out. 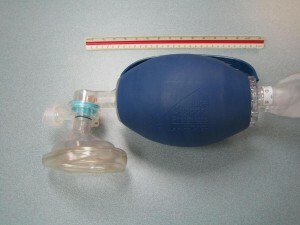 Adult bag valve mask used in CPR and AED training courses. Standard first aid allows for participants to select from three level’s of CPR training. The following is a breakdown of the CPR level’s that can be partnered with a standard first aid course. CPR level ‘A’ – This level teaches participants CPR, choking and AED rescue techniques for only adult victims. This level is popular for individuals that only work with adults. CPR level ‘C’ – This level of CPR teaches participants CPR, choking and AED rescue techniques for adults, children and infants. This is popular among individuals that work with children and / or infants. CPR level ‘HCP’ – This is the most comprehensive CPR and AED course available. It includes all of the components of the above mentioned courses but it also includes two-person rescues and the use of advanced equipment such as bag-valve masks. What Do Participants Learn About in the CPR Component? Learn about these topics and more by taking a course today. Trainees who are able to complete a training course are awarded a workplace approved certificate for first aid, CPR, and AED training, valid for three years throughout Canada. Recertification is available at different schedules throughout the week to revalidate expiring certificates. Edmonton First Aid does not renew expired certificates so be sure to take recertification programs before your certificate expires. Training centers are well-maintained and equipped with the latest trainers and mannequins for first aid and CPR/AED training. Classrooms are spacious and air conditioned as well. The centers are easily accessible, within walking distance to public transportation, free parking, and restaurants and shops. Infant CPR CPR is modified for infants or babies that are twelve months old and younger. Cardiac arrests in babies usually happen because of drowning and choking from small objects. Perform five cycles of CPR and rescue breaths for two minutes before calling your local emergency number. Enrol in a training course today!